Business exhibitions can be expensive to attend, and even more expensive to exhibit, nonetheless they remain the place to see and be seen for business owners looking to make their business grow - so how to get the most out of them? This may sound obvious, but it remains true that a prime position at front and centre can make all the difference. Being tucked away in the corner decreases your overall brand exposure and may also unintentionally give your business the sense of being unimportant. You may be a small business, but that doesn’t mean you can’t make a big impression. Let people know you’re coming. 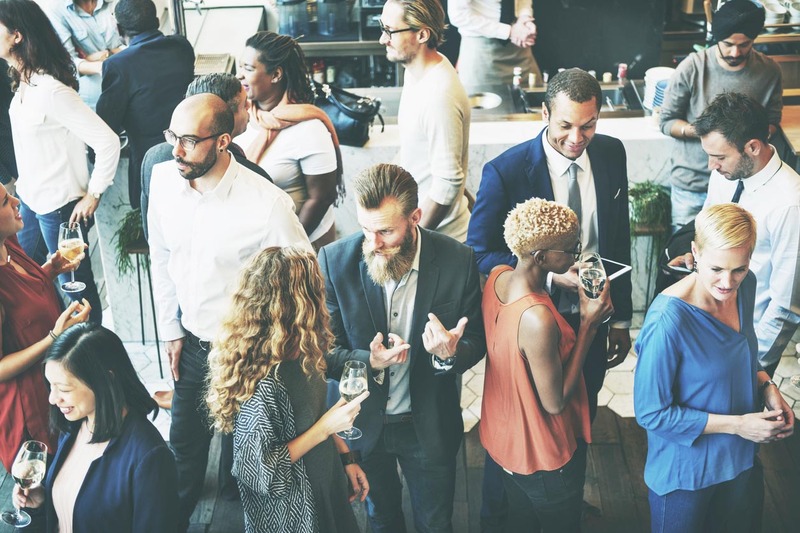 A lead may see you’re attending and make an effort to find you, and a little bit of build-up will do wonders to boost the buzz that surrounds your stand. Local businesses might also want to show, so you can combine forces, leaving business cards to one another’s businesses on the other’s stand, etc. You might even end up with several businesses representing your neighbourhood and create a real sense of community that’s sure to lure in curious visitors. Get out there and start networking. A business exhibit is the place to seek out new leads, all you need to do is find them. Remember to equip yourself with an iPad - it’s quicker, more efficient and gives a much better impression than an old fashioned notepad. You’ll have competition from every other stand going, so make sure you look the part. Dress professionally or just in the way that best presents your brand; you should look every bit an extension of your business as your stand. There’s no reason a business stand has to be strictly business in its design. You want to be eye-catching and exciting, not corporate and dull. Your stand should reflect your brand perfectly, with visitors able to tell at a glance if you’re offering something they want to be part of. If you sell outdoor goods, decorate your stand to look like a garden, if you’re offering interior design then create a semi-enclosed space that guests have to walk into, where they are able to be immersed in your offering. Something that engages the senses, be it a video to watch or samples of the fragrances you use, are more effective than a visual show alone. It’s a good idea to have an area dedicated to sitting down for a chat with your visitors, too, which can be better than being shoved by crowds when standing. Your stand needs to offer visitors an experience that they will remember even after visiting hundreds of other exhibitors that day. You may have the perfect stand, prime position and promotion going on months in advance, but all that can count for nothing if your staff aren’t able to deliver. Make sure your staff know your brand inside out and are able to answer the vast majority of questions that might get thrown their way. They need to be passionate about your brand and they need to pass it on to the visitors to your stand. You’ll also need to have a rota system in place so you all get your due breaks, so bring at least one other staff member with you to cover. Make sure you also brief them on how to correctly keep your stand looking at its best – keep it clutter-free and as welcoming at 7 pm as it was at 7 am. You need to drum up interest in your stand, and what better way than a giveaway? This can be as simple as giving out freebies like pens or key rings with your brand on them, or running a raffle or tombola where winners are announced at the end of the day in a mini event that’s sure to attract a crowd. Like above, don’t be afraid to join forces with others - networking isn’t just about you and potential leads, it’s about business to business, too. Who knows, this day might be the start of a great collaboration. With that in mind, make sure you are correctly equipped for any sales. Your work isn’t over just because the exhibition is! Make sure to follow up with leads. You want your business to be the one they remember and a personal email thanking them for their interest is a great way to remind them of just who you are as well as prompt future meetings. It’s not all about exhibitors coming to you; if you like the look of something, make sure they know it. Talk to the staff on stands and get to know brands better, and understand the direction they’re looking to move in. Don’t be impatient with those who approach you directly, even if you are not interested – after all, the point of a business exhibition is to make connections. There’s a lot of talking involved in a visit to a business exhibition, and if you want to have a meaningful chat with a brand about what they do, you’ll want to spend a good amount of time with them and schedule them in early during your day (this is another key reason why exhibitors should promote their attendance). Arrive in the midday rush and you’ll get less out of your conversations, with stall holders bouncing between multiple visitors. You may not have a stand, but you do have the old reliable business card. Make sure you have them nicely printed up with all the contact details exhibitors may possibly need, including social media handles and your bricks and mortar location if you have one. Bouncing around from stand to stand with no real idea of what you’re looking for can quickly make this a wasted day. Sure, you might leave with a bagful of literature from a dozen different exhibitors, but you’ve missed this prime opportunity to learn more about them and for them to also learn about you. Business exhibitions are generally geared towards results, so don’t get pegged as a time-waster – know what you’re looking for.